At Niio, we are passionate about the intersection of Art, Design & Technology. From code-based and algorithmic artworks, to AR & VR installations, as well as blockchain for authentication, talk of digital and experiential art is everywhere. Check out some of the great stories that we’re reading now and look out for lots more throughout the year. “The Paris-based collector Nicolas Laugero-Lasserre is known for his extensive collection of urban art by the likes of Shepard Fairey, Ivader, Banksy, and Swoon. But recently, he made a novel acquisition by a very different kind of artist. His latest purchase, Le Comte de Belamy, was created by artificial intelligence.” Read more. 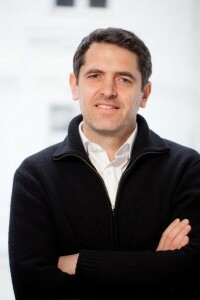 Collector Nicolas Laugero–Lasserre. Courtesy of Laugero–Lasserre. #Duchamp? Darren Bader Is Selling His Instagram and Twitter Handles as Readymade Art. Can You Put a Price on the Art of Social Media? “Social media influencers can make as much as $10,000 for one sponsored Instagram post. 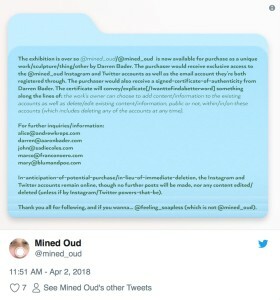 Now, conceptual artist Darren Bader is taking the red-hot market for coveted online content one step further: He’s selling an entire Instagram and Twitter account—as art” Read more. 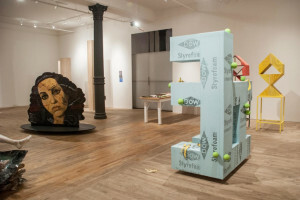 “Postmasters Gallery in New York is now accepting donations via Patreon, an online platform used for funding creative projects, saying in a statement that it wants to pursue “a new model—a radical hybrid combining the strength of the market with the support of the community.” Read more. “With each new technological innovation, artists have taken the opportunity to manipulate and speak back to modes of mass communication. Broadcasting: EAI at the Institute of Contemporary Art (ICA) highlights this tradition by focusing on the legacy of the nonprofit Electronic Arts Intermix (EAI). Since its founding in 1971, EAI has promoted video art and other moving image work while also providing resources for production and distribution.” Read more. 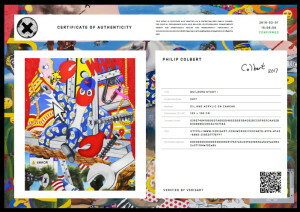 “Art is a currency in a way; at the end of the day when they come to auction, the provenance is a very important element of their value.” Read more. 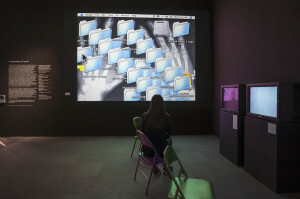 “The largest show is “Art in the Age of the Internet, 1989 to Today” at the Institute of Contemporary Art, which will feature work by some 60 artists and explore the Internet’s influence on artistic production.” Read more. Jon Rafman’s “View of Harbor, 2017” will be part of “Art in the Age of the Internet, 1989 to Today” at the Institute of Contemporary Art. 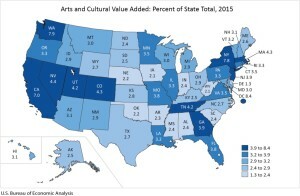 “The arts contribute more than you might expect to the US economy, says a new joint report from the US Commerce Department’s Bureau of Economic Analysis and the National Endowment for the Arts. The arts generate $763.6 billion per year, or 4.2 percent of the GDP, according to the study, which presents statistics gathered between 1998 and 2015. 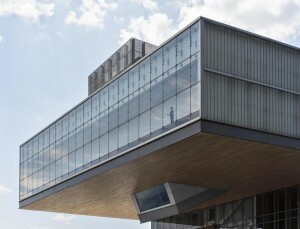 The US also exported $20 billion more in art than it imported, providing a positive trade balance. All told, the 4.9 million people employed in America’s creative industries earned $372 billion in total compensation for 2015.” Read more.